What is “Automatic Writing”? This question lights numerous candles in mind, as it doesn’t only look interesting, but also makes us curious and impels us to think how it can benefit us in our lives, especially in our careers, if we’re a professional writer, or love to write. However, before we reveal what Automatic Writing is, first it’s pertinent to explain what actual writing is. Writing is actually a conscious process. We use our conscious thoughts to write something on the paper. We think a lot before we can even move our hands. But, the issue is, are we all like that? Well, no! Yes, if we say 98% of us are the conscious writer, it would be utterly right. But, there are some writers like professional poets, authors, and etc. who aren’t the conscious writer; they forget the world and their pens run automatically, when they’re involved in work. Now, don’t think it’s just a gifted tool of professional writers. In reality, it’s in various forms. For instance, through automatic writing, the experts of it attempt to communicate with deceased loved ones, get guidance on ongoing relationships, compel their spirit to guide in tough situations and etc. In other words, it’s a medium. It’s up to you how you use it. On the other hand, the science contradicts it. Since, in science, there isn’t any concept of spirit or spiritual writing. But, interestingly, the professionals of science believe that there is a writing process that happens through unconscious mind. The skeptical investigator, Joe Nickell, thinks that automatic writing is produced while one is in a dissociated state. It’s a form of motor automatism, or unconscious muscular activity. In a way, it’d be right to say that science also at least trusts on the latent unconscious influence of a human’s mind. How to do automatic writing or how to become an expert of it? If you’re pondering this, allow me to give you a few exceptional tips. Though, bear in mind, it’s all about writing in the flow. 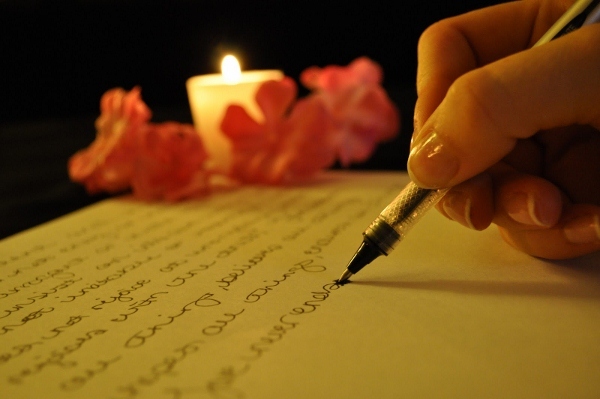 You’ve to put your mind to one side and write in effortless way – completely. Just start writing, and don’t worry about what you’re writing. This is the first step, as you listen to the automatic writing audio, you are closing the gates of your conscious mind and allow your unconscious mind to do the talking. The best thing you can do is to write a question first. The question can be either from your own hustles of life, or from a deceased loved one. Just write it down and start writing, so that your spirit or unconscious mind can work in a specific way. Second, you can set a timer too. In fact, it’s better to set a timer. 15-20 minutes are enough for beginners for automatic writing. During that period, don’t worry about what you’re writing. Close your eyes and let your pen flow. The judgment part comes later. Lastly and most importantly, create the right environment. Since, disturbance will activate your conscious mind and won’t let you go with the flow. Try this process when you’ve privacy. Close the doors, turn phone off, and take deep breaths before starting. In addition, of you don’t have brainwave altering audio, you can get one from Unexplainable Store too. Our automatic writing recording is 30-minutes long and tunes your brain to the lower Theta frequency. We created this track which can excite the spiritual center of your brain and banish those barriers that stop you from receiving messages from the spiritual realm.